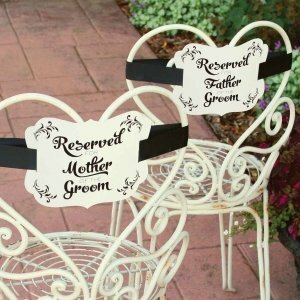 Create a special place for the Mother of the Groom and the Father of the Groom to sit! Our Reserved Chair Decorations are a stylish addition to your reception seating. The crest shaped, ivory shimmer paper signs are printed in black foil with lovely flourish corner designs for added flair. 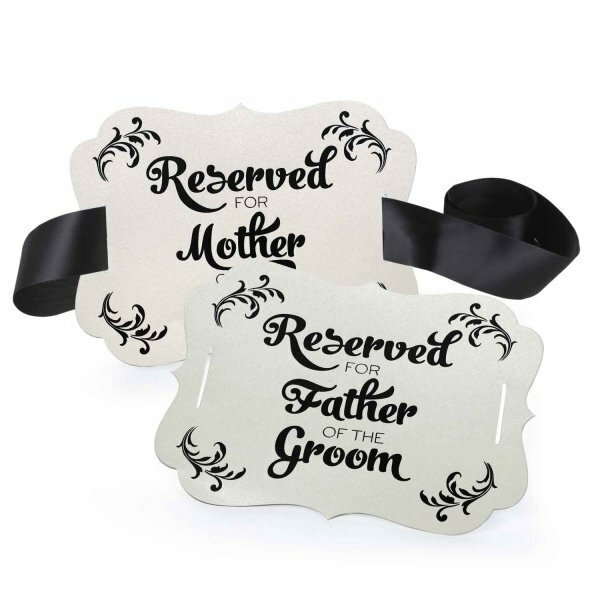 Signs are one-sided 250 gsm paper and include one Mother and one Father or the Groom. We also include two 1 1/2" wide x 50" long black satin ribbons.